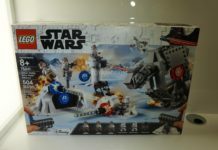 Home Collecting LEGO First Look at LEGO Mini-Figure from Solo: A Star Wars Story? 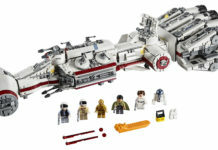 First Look at LEGO Mini-Figure from Solo: A Star Wars Story? A new image making the rounds on the Internet, might be our first look at a LEGO mini-figure from Solo: A Star Wars Story. When it first started appearing people weren’t sure if it belonged to this movie or from the upcoming Avengers: Infinity War movie. After reaching out towards the people that would know this kind of information, it seems that this is Thandie Newton’s character in the film. Chris Ward from StarWars.net has posted a tweet stating that he believes it is the unknown character that Thandie Newton is playing in the film. That LEGO figure you guys keep sending me is Thandie Newton’s character. The upcoming Han Solo film will be directed by Ron Howard, and will be produced by Kathleen Kennedy, Allison Shearmur, and Simon Emanuel. 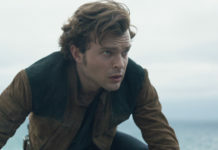 The film stars Alden Ehrenreich as Han Solo, Donald Glover as Lando Calrissian, Emilia Clarke, Joonas Suotamo as Chewbacca, Phoebe Waller-Bridge, and Woody Harrelson as Garris Shrike (unconfirmed). The movie hits theaters May 25, 2018.